Venture Academy is honored to work with Jordan’s Principle to help make our treatment and educational services available to Indigenous / First Nations / Aboriginal youth. According to the Government of Canada, “Jordan’s Principle makes sure all First Nations children can access the products, services and supports they need, when they need them. It can help with a wide range of health, social and educational needs.” Venture Academy provides those services offering our treatment programs and support to First Nations children and adolescents in times of need. Venture Academy provides a culturally sensitive and supportive environment for youth to heal and recover from a wide range of emotional and behavioural issues. With a special focus on rebuilding and strengthening relationships with their parents, siblings and communities, Venture Academy is a sought-out provider of treatment services by Indigenous / First Nations families. Venture Academy has provided treatment and school-related educational support for Indigenous / First Nations / Aboriginal families since 2001. Jordan’s Principle provides funding specifically for Indigenous / First Nations / Aboriginal youth to ensure they receive the treatment services they need. Venture Academy Provides treatment services for Indigenous and First Nations youth in our program. What caused Jordan’s Principle to be established? The legislation that created this funding support is named after a boy Jordan River Anderson who sadly died at the age of 5, while still in the hospital because the federal and provincial governments could not agree who should pay for his care in a specialized home. Who can benefit from Jordan’s Principle? Any Indigenous youth that is deemed eligible by Jordan’s Principle. This may include First Nations, Inuit, Métis. Can Jordan’s Principle help my child? Yes, potentially so – let Venture Academy help you find out. Please call us at 1-855-281-5813 and we will help walk you through the process of funding eligibility. How can Venture Academy help? Venture Academy can first help determine if your child is eligible for our treatment program, and then support and guide you through the Jordan’s Principle funding approval process. We have the experience of working with many Indigenous and First Nations, families providing much needed assessment and treatment services at Venture Academy funded through Jordan’s Principle and we can help you as well. Please call us at 1-855-281-5813 and we can link you with a 24-hour hotline to get you started. Where can I access services through Venture Academy? 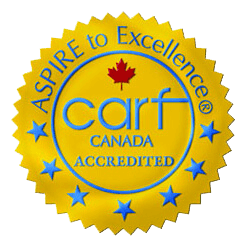 Our treatment and education services can be accessed in British Columbia, Alberta, and Ontario. All three of our treatment programs have admitted and served Jordan’s Principle funded clients and we continue to do so on a regular basis. But our family is not from those three provinces. That’s no problem. Venture Academy admits Jordan’s Principle funded clients from all over Canada in any one of our locations. It’s possible that we may be able to assist families in receiving funding for travel to and fund our programs as well. Does Venture Academy do anything special or culturally significant for Jordan’s Principle funded clients? Yes we do. We work collaboratively with the parent / guardian to determine cultural values and objectives as it pertains to treatment services and any identified cultural requests and considerations. We specifically consider and implement those cultural approaches where applicable into our treatment services as agreed upon with every individual Indigenous and First Nations client and their family.